Enablemypractice work flow is designed to meet the needs of every specialty and customizable for each employee. Our service enables efficient practice management to operate cost effectively. Use our service to schedule appointments, codify patient complaints, diagnosis, and treatments, create and manage patient charts, send prescription and labs electronically, send claims, and manage collections for your practice. Our service is so easy to use, you can sign up and start using it immediately. Easily document each patient encounter, televisits, and telephone calls. Order labs, radiology tests, and make referrals electronically or print. Use specialty specific templates, ICD9 coded diagnosis, prescriptions knowledge base, CPT coded orders and procedures, and advanced word processor to build custom medical notes, exams, and letters. 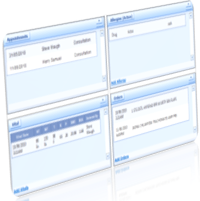 Specialty specific templates are easily customize for each provider and location. Lab, radiology, and procedures are electronically transmitted. 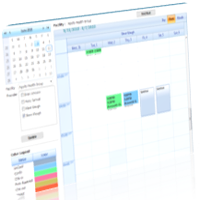 Schedule and manage patient appointments for multiple providers or locations. Track patient status by room. Easily check benefits eligibility and make payments. Quickly locate available future appointments for follow up or new appointments. 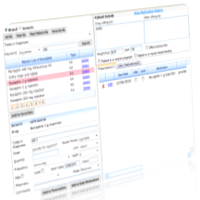 Easily pull patient encounter and billing data from the patient chart or other EMR to build and file insurance claims. Claims can be filed via paper, fax, or electronically via any clearinghouse. EnableDoc checks claims and electronically send claims, tracks claim status, and manages remittance and funds transfer. 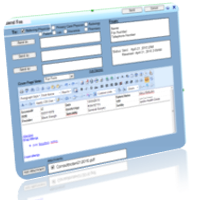 Generated invoices individual or in batch or send to a third party mailer. Every phase of the collects process is tracked and manage collections. EnableDoc also offers credit card payment services through a 3rd party. Our advanced prescription knowledge base reduces prescription errors by recommending medication dosage, quantity, and frequency based on a patient’s age, weight, and gender. Once a medication is selected, it verifies that it does not interact with others medications the patient is taking, allergies, or medical conditions, such as pregnancy. In just a few clicks, you can easily select the patient’s pharmacy and send prescriptions.